London – a beautiful city and my current hometown. From the famous Big Ben and Tower Bridge to the Royal Buckingham Palace or countless parks and the beautiful riverside, London has a lot to offer. You have plenty of opportunities to take pictures, and if you’re looking for great views over London you shouldn’t miss out on one of the many viewing points in London. My favourite attraction from day one I have seen it. 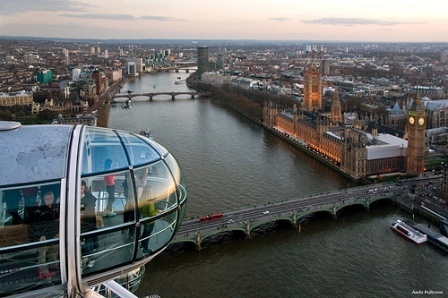 The 443-foot London Eye is situated next to the Thames and offers an unique 360° panorama across the whole city. During the 30-minute ride you’re able to see all London’s main attraction: Big Ben, The Shard, Westminster Abbey, House of Parliament and St. Pauls. This is the place to be if you like to go for a fancy cocktail or some food up high. 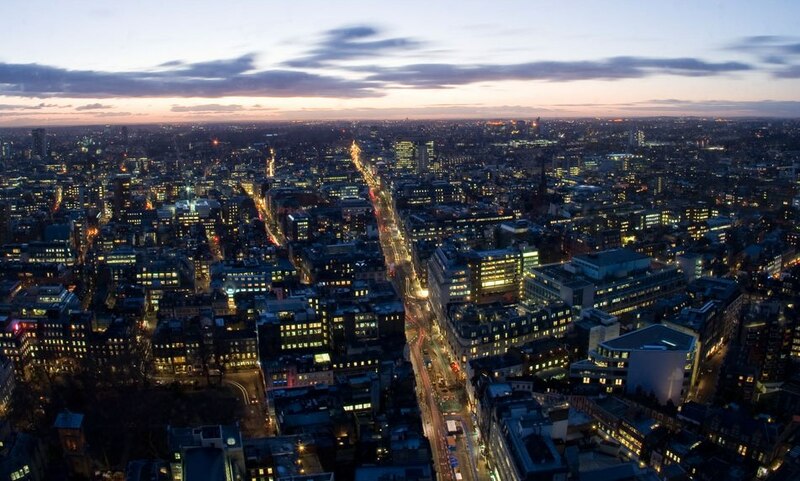 The Paramount is situated on the 31st floor in the Centre Point skysraper at Tottenham Court Road station. 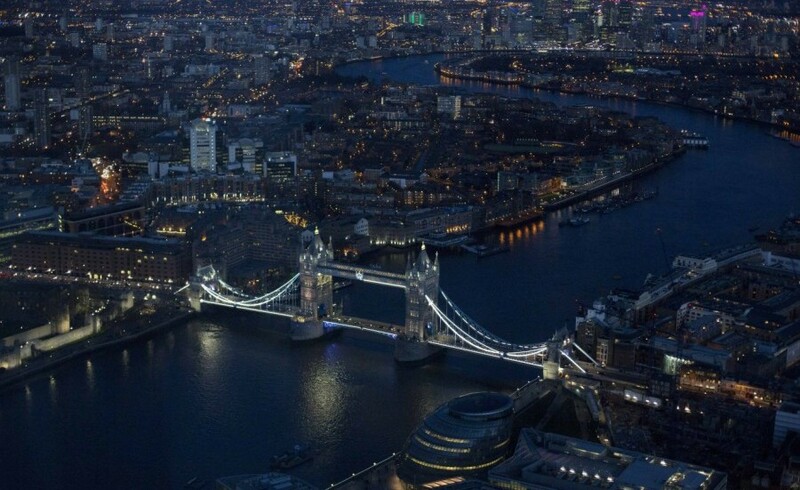 While sipping on your drink you’ll have an amazing view over Tower Bridge, St. Pauls, Oxford Street and the Gherkin. I recommend to book yourself on the guest list to ensure that you get a great view of London’s nightlife. You don’t always need tall skyscrapers or tourist attractions to get a beautiful view. London has plenty of green parks where you can enjoy the cities skyline. 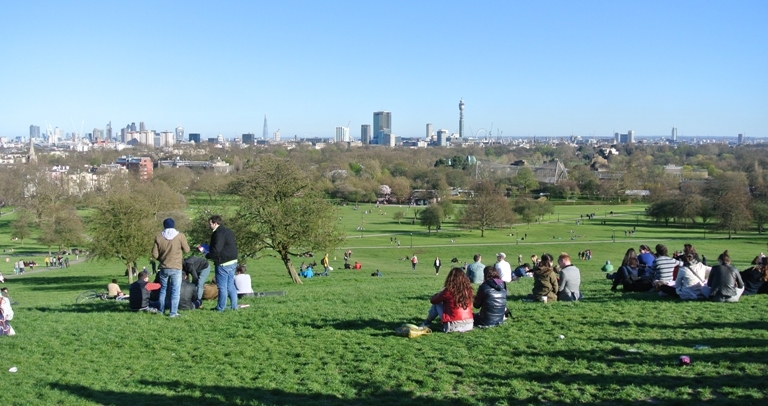 One of these parks is Primrose Hill: It’s located in North London and offers an unique panorama over central London. I like Primrose Hill a lot because it’s the perfect place for a relaxing summer picnic and to enjoy the sun set over the city. The Shard is located at London Bridge and is European Union’s tallest building. I’m passing it every day to work and it is an impressive building. It’s a bit overpriced with £25 per ticket but I’m sure that you will quickly forget about the price and enjoy the 360° views from the open-air rooftop observation on the 72nd floor. Since the Olympic Games in 2012 London has a new attraction:The Emirates Air line. The cable car is situated in the East and connects the Royal Docks with Greenwich Peninsula. Eventhough I’m a bit afraid of heights I enjoyed flying smoothly across the Thames and seeing the O2, financial district and even the Olympic Park from an birds perspective.